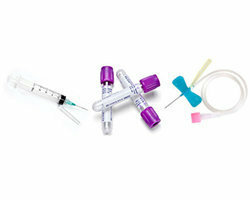 How are Central Venous Cathers & Kits used by nursing homes, hospitals and clinics? 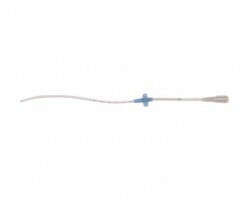 Central venous catheters (CVC’s) are also known as central line and are widely used by healthcare providers and form an important part of our IV, Infusion & Transfusion catalogue. A CVC is inserted into the neck, chest, groin or through the veins in a patients’ arm and used to administer drugs and other fluids that are not suitable to be ingested through the mouth or maybe harmful through a smaller vein. 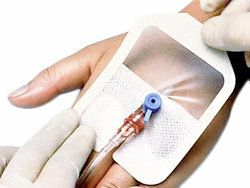 Patients undergoing treatments such as Dialysis, Chemotherapy etc. require the use of these catheters. 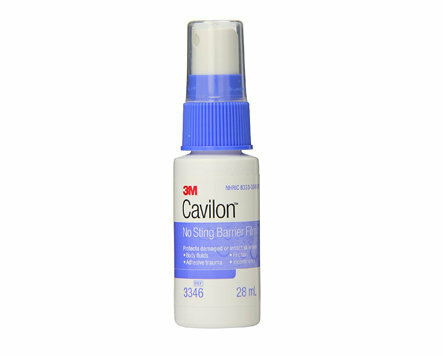 Moreover, they are very useful when long-term medical treatments/ therapies for pain, infection or nutrition are required. 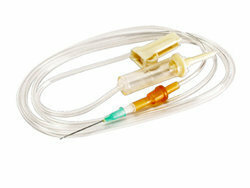 Another common application of these catheters is when frequent blood samples are required from patients to eliminate the discomfort of pricking them repeatedly. 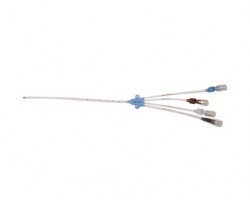 Types of CVCs & How to choose the right Central Venous Catheter? CVC’s can either be external where a thin narrow line is inserted into the patient and the other ends (lumens) remain outside the body through which the medicine is administered. 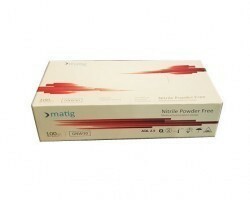 The other type, that are not as widely used are implantable, where both the tube end and the port end remain just under the skin of the patient. 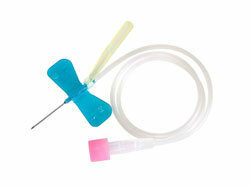 A special type of needle known as a Huber needles are used to give the medicine or other required treatments. 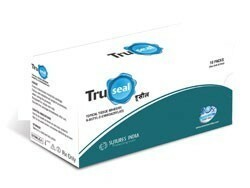 The tube type for CVC’s is determined by the number of lumens (tube ends) the catheter has. It may have a single lumen (monoluminal), two (biluminal) or as as many as five lumes. 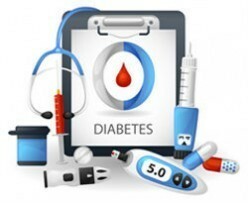 The greater the number of lumens present, the higher the number of drug infusions that can be delivered simulataneously. 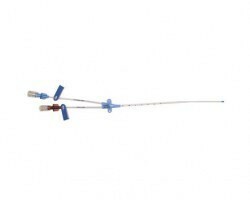 The size of the catheter is a combination of two factors; the diameter (measured in Fr) and the length of the tube (measured in cm). 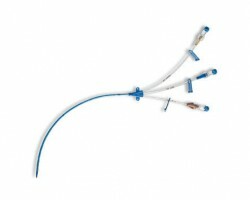 We have a wide range of these catheters listed on our portal ranging from 4Fr to 8.5Fr in diameter and 5cm to 30cm in length. 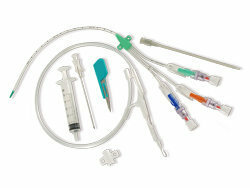 What does a Central Venous Catheter (CVC) Kit include? 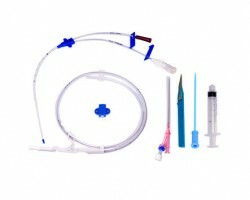 Why buy Central Venous Catheters online from Smart Medical Buyer? 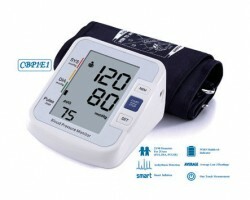 With direct tie-ups with high quality medical manufactures such as Romsons, Newtech Medical Devices and Teleflex; Smart Medical Buyer supplies well-known brands at very competitive prices and quick delivery lead times. 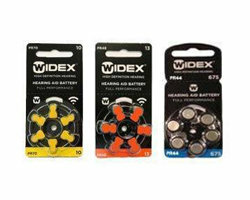 Some of the popular brands available are Arrowg+Ard Blue CVC Kit, Newtech Clear CVC Kit and Romsons Centro CVC. 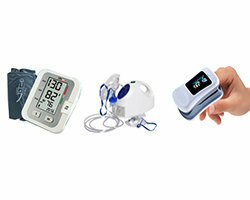 We also have a wide range of products in the category of Infusion & Transfusion products which a hospital or nursing home can order.